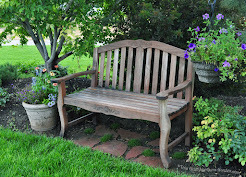 This Grandmother's Garden: What did I DO all Winter? What did I DO all Winter? It's no secret that Winter in my gardens can simply last forever. I needed a project to keep me busy~busy~busy. So what did I do all Winter? I built another blog, of course! My daughters and I are the resident authors and WE are having a BLAST. 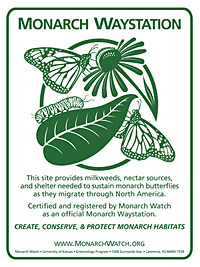 or you can just follow the link to see the site. Be sure to visit the About Us tab to get the inside scoop on my daughters... and me! In the south of France is a beautiful region bordering Italy and encompassing the French Riviera. This area, Provence, is well known for the fragrant herbs and flowers that are grown there. I've had the pleasure of visiting this area and instantly fell in love with the rolling hills of sweet fragrance. Herbes de Provence is a blend of common herbs from the Provence region of France. These traditional herbs were first combined in the 1970's, and like curries, there is no set formula for blending Herbes de Provence. 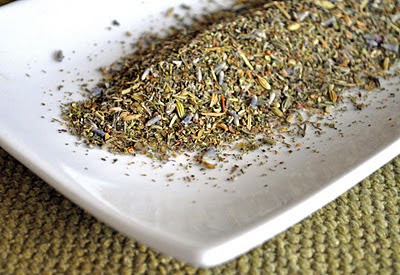 Traditional Herbes de Provence begins with rosemary, thyme and bay leaf, and then other available herbs are added to taste such as: basil, marjoram, bay, chervil, sage, savory, fennel, oregano, dill, tarragon, and lavender. Lavender flowers are common in the blends of Herbes de Provence that you find in the U.S.. 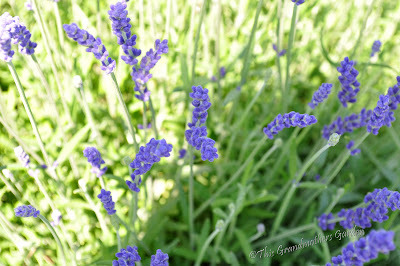 They were added to appease the tourists who identify Provence with the many fields of lavender there. 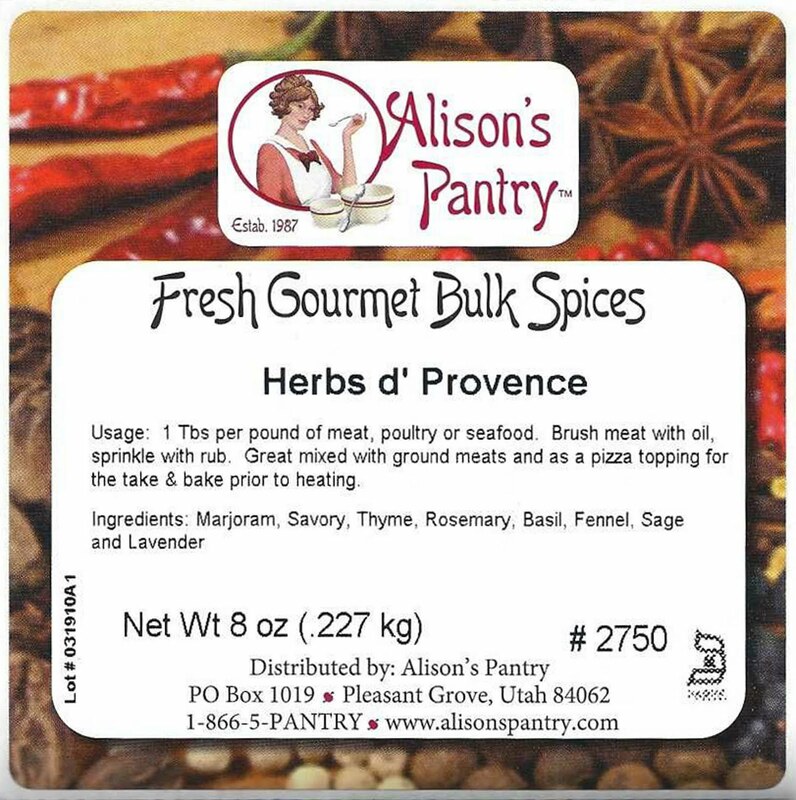 Our family loves the flavors that Herbes de Provence brings to a dish. Though it is traditionally used as a rub to season meats, vegetables and fish, I use it generously in rice pilafs, soups, sauces and pastas... anywhere you want the taste of Mediterranean. Herbes de Provence can be rather pricey. My local grocer sells it for $4.59 for a .6 oz jar. Yeah, expensive... that would be $62 for 8 ounces. For that price, I can afford to use this delicious blend generously... and I do! In a small mixing bowl, combine all the ingredients together. Store in an air-tight container. using Herbes de Provence of course! Blog creation can be addictive! I find it hard to manage one blog so you have my admiration for creating a second one. 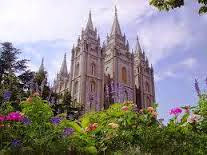 I will have to visit and check it out. Carolyn, another blog, and what a blog it is! Amazing. What fun to share with your daughters, too. I don't know how you do it, though, I can barely keep up with my scribblings. You are such an inspiration!